New York, NY, April 24, 2013–The Annual Children’s Book Art Silent Auction and Reception at BookExpo America to benefit the American Booksellers Foundation for Free Expression will feature a special tribute to Maurice Sendak, the beloved author and illustrator of classic children’s titles and a passionate defender of free speech. Sendak died on May 8, 2012, at the age of 83. Children’s book illustrators will be donating pieces created in tribute to Sendak, who mentored and inspired many artists. A special auction area will be devoted to their works. Ruth Sanderson, Deborah Freedman and Wendy Watson are among the artists donating original art to the Maurice Sendak Memorial. Sanderson’s piece, titled The King of the Wild Things, is done on scratchboard and features a portrait of Sendak along with characters from Where the Wild Things Are. Sanderson has drawn the covers for numerous titles, including books in the Nancy Drew and Bobsey Twins series, as well as classics like Heidi and Goldilocks. Sendak fought vigorously against censorship when In the Night Kitchen was contested for its content and removed from shelves. Proceeds from the auction will underwrite projects that support freedom of speech, including the Kids’ Right to Read Project, Banned Books Week, and other ongoing efforts to maintain First Amendment rights. Illustrators interested in submitting artwork to honor Sendak or general artwork for the auction should contact ABFFE auction manager Kristen Gilligan Vlahos. The auction at BEA will be held on May 29 from 5:30 to 7:30 p.m. in the River Pavilion of the Jacob Javits Center and will be hosted by bestselling authors Jack Gantos and Lauren Myracle, whose books top the list of the country’s most challenged titles. Auction tickets are $99 and are on sale now. 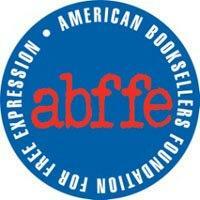 There is no charge for bookseller members of the ABC Children’s Group at ABA. Anyone interested in joining the ABC Group should contactABC Group Manager Shannon O’Connor . In addition to the auction at BEA, there will be a seven-day online auction featuring different works of art. It will open Saturday, May 18, at 9:00 a.m. and close on Friday, May 24, at 9:00 p.m. Details about the online auction are available here. Details of the coming events, including a preview of the art in both auctions, will be posted on the auction’s website. For further information about the auction or to volunteer, contact Kristen Gilligan Vlahos, auction manager, kristen@abffe.org.